Who doesn’t love starting the day with bacon? 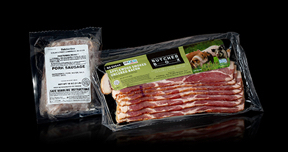 ButcherBox bacon is some of the best-tasting you’ve ever had – it’s Whole-30 approved and nitrate-free. Our sausage is a customer favorite and perfect for any breakfast recipe you can dream up. Start your mornings right with 2 packs of bacon and 2 pounds of sausage completely free.